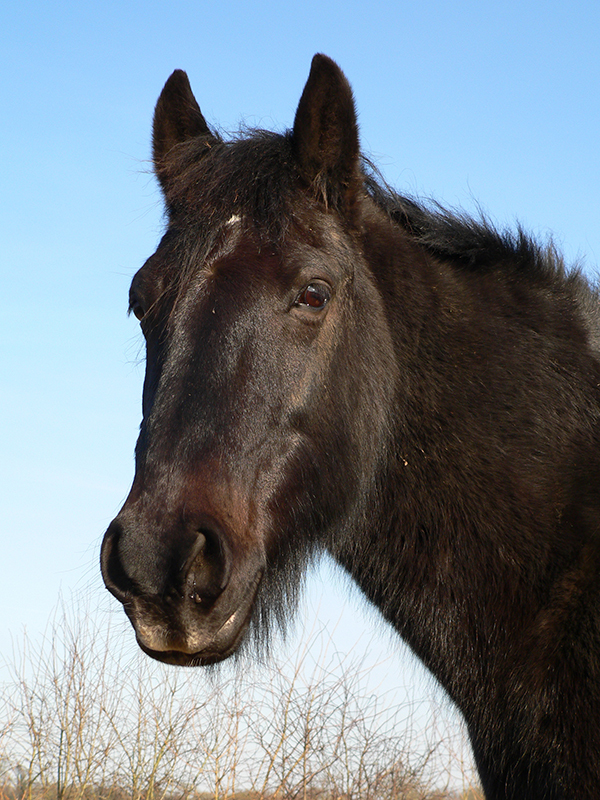 Handsome Sydney lived with us his whole life having been born at Redwings Caldecott in 1989 after his mum Christobel was rescued while in foal. Statuesque Sydney, identified by his dark bay colouring and little white star on his face, was extremely friendly and lapped up all of the affection poured onto him by his loving supporters. In fact, he wasn’t just greedy for attention – he was known for his large appetite and had to undergo a weekly weigh-in to make sure he didn’t pile on the pounds! Keeping a check on his weight helped ease the discomfort in his hind legs caused by arthritis. Sadly, arthritis cannot be cured and his condition progressed with age causing him increasing pain. Sydney sadly passed away in 2009, aged 19. Sydney is greatly missed by all of his supporters, but we’re so pleased we were able to give this beautiful horse such a happy and fulfilled life.